This class is only open to students who have completed The Writers Studio Workshop and by permission of the teacher. Students who enter the Intermediate Workshop are familiar with the technical terms that are the building blocks of The Writers Studio approach. There is increased focus on giving an emotional atmosphere or mood to each piece, and how best to draw on personal material. This class asks students to recognize the specific qualities that make a narrative or poem engaging and entertaining to the reader. The goal of this class is to help students use a full range of techniques in order to create and sustain an effective artistic distance. Students begin to access greater emotional freedom and depth in their work. Students have an opportunity to workshop one long-form narrative (up to ten pages) each term. Open only to students who have completed The Writers Studio Hudson Workshop and upon the recommendation of the teacher. Anamyn is a fiction writer whose short story “The Swans” was published in New Ohio Review and nominated for a Pushcart Prize. Anamyn also received an Honorable Mention in Glimmer Train’s 2015 Family Matters contest. She is currently working on a novel and a story collection. 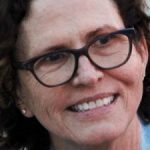 Having trained to teach The Writers Studio method with Philip Schultz in New York and studied at UCLA, she is the co-director of the newest branch of The Writers Studio in the Hudson Valley.